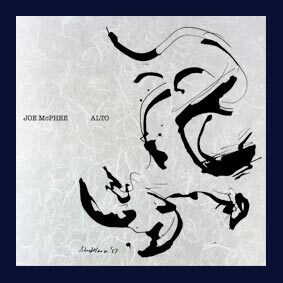 Alto joins Tenor and Soprano to complete a discrete trilogy within Joe McPhee’s catalog of unaccompanied waxings. Recorded live at a Lower East Side bar in 2009, McPhee’s explorations on alto saxophone and alto clarinet are alternately fiery and contemplative, imbued with the masterful intelligence that’s marked his work for over forty years. A limited edition of 524 copies on 180 gram vinyl, with a Judith Lindbloom silkscreen print on rice paper and liner notes by Hank Shteamer. Digital download coupon included. A special lettered edition of 26 copies, with hand-painted covers by Judith Lindbloom, signed by Joe McPhee, can be seen here (sold out).